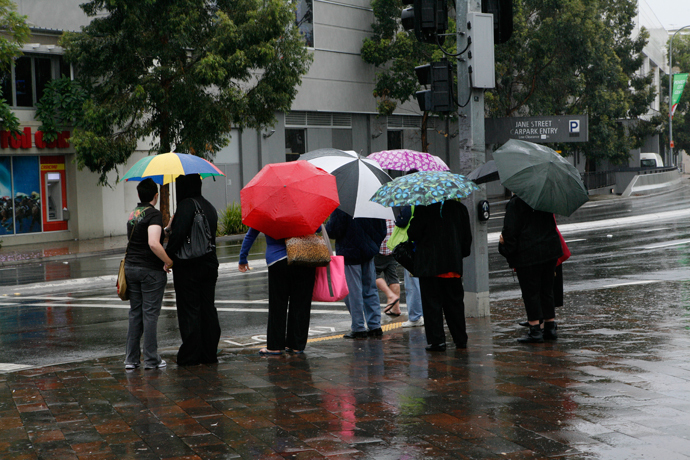 More than 120mm of rain is expected to fall in Penrith tomorrow as wild weather lashes Sydney. Locals are being told to prepare for heavy rain and winds with the chance of a thunderstorm in the morning and afternoon. A top of 22 degrees is predicted in Penrith with rainfall between 60mm and 120mm. The Bureau of Meteorology says to expect “intense rain and vigorous winds”. #GetReady it’s time to prepare for WETNESDAY@BOM_NSW advise that intense rain and vigorous winds will impact #Sydney and #Illawarra Wed.
Ausgrid is advising people to prepare for the weather by tidying up your yard and securing and loose items. The Penrith State Emergency Service will be on high alert to help locals who need assistance. They can be called on 132 500. Showers will continue on Thursday but will be nowhere near as heavy as Wednesday. Fine conditions should return by Friday.